Positive parenting is an approach to parenting that focuses on the importance of the parent-child/teen relationship and helps parents develop the skills to guide and support their children’s developmental needs. 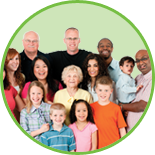 The PPCC is a group of agencies in Waterloo region who work with parents and children from prenatal to 18 years of age. Promote the importance of positive parenting. 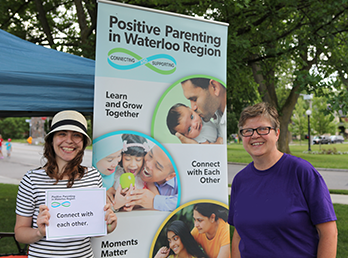 Engage community partners in discussions and planning activities for the development of a comprehensive approach to positive parenting in Waterloo Region. Implement/coordinate activities for the planning of a comprehensive approach to positive parenting in Waterloo Region. Parent(s) are their child’s first teacher and they know their child best, recognizing that children are capable and competent and able to take part in the learning process as a partner. Parenting is a life-long learning process. Positive parenting emphasizes the importance of parent(s) engaging with their children to develop positive strategies for expressing their emotions, understanding their temperaments, and managing their behaviors. Positive parenting contributes to supporting optimal child development throughout the ages, recognizing the importance of the impact in the early years. Positive parenting is a proactive, non-violent and non-punitive approach that strengthens relationships between parent(s) and children. 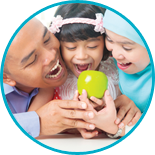 Positive parenting invests in the wellness of parent(s), therefore investing in the wellbeing of children. Positive parenting supports need to be accessible for all children and their families. 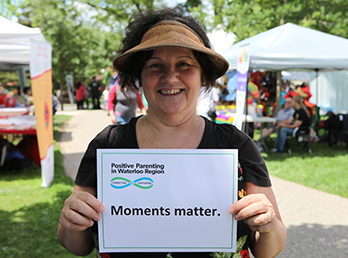 Positive parenting supports provide opportunities to enhance connections between parent(s), their peers, and their communities.